Below are our rooms for hire and facilities we offer. Please contact us to make a booking or find out more. 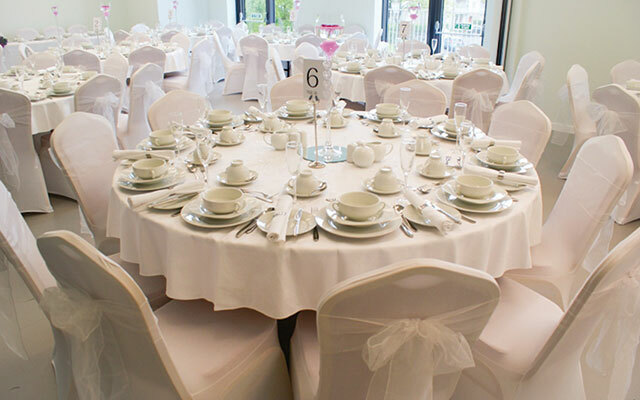 To find out more about our functions click here. 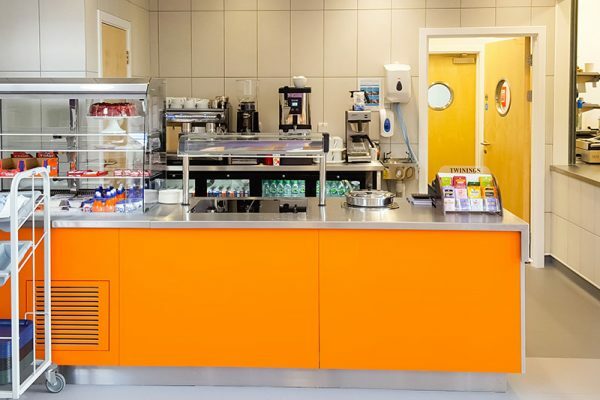 The Cadderhills Café provides fresh, hot and cold snacks and meals and catering facilities for meetings, conferences, functions, events and birthday parties. The Community Gym provides health and fitness facilities for local residents. 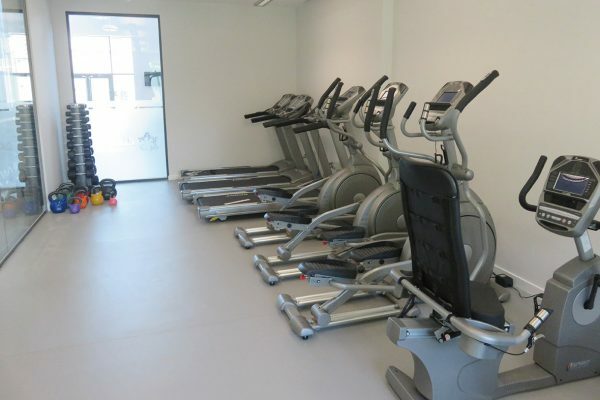 Equipment includes: Treadmills, Cross Trainers, Exercise bikes, Rowing Machine, Multi gym System, and a range of Dumbbells and kettlebells. Our Training room provides a space for various training and meetings. Situated on the ground floor, it includes a wall mounted TV, MMP access and built in refreshment area with access to sink to suit all types of training requirements. 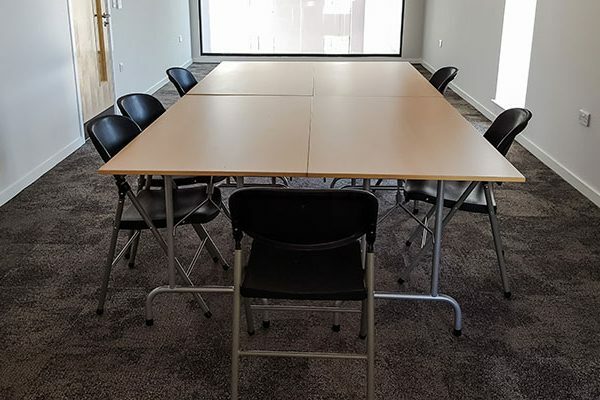 The Training Room can hold 16 people in Board room set up. 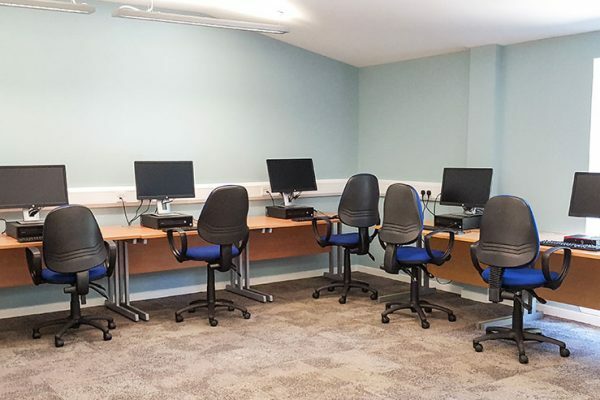 The Cadder Learning Centre in partnership with Glasgow Kelvin College provides opportunities for Learning and Development and Digital Inclusion. The Centre has 12 PC’s and has its own Learning Centre Timetable accommodating youth services, IT Drop in sessions, accredited learning courses. 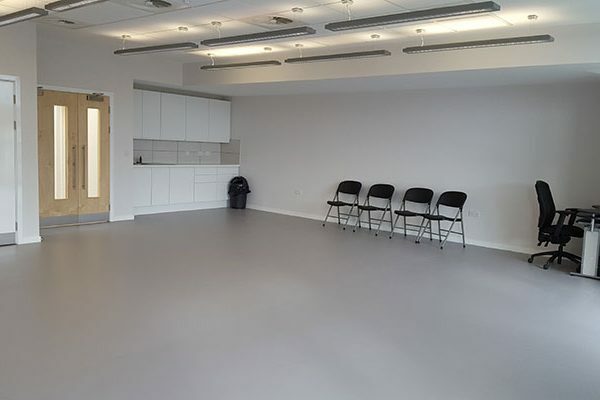 The Community Room is a multi-purpose room to accommodate a variety of groups and activities, with built in cupboard and sink space ideal for activities such as Parent and toddlers, and arts and crafts activities. 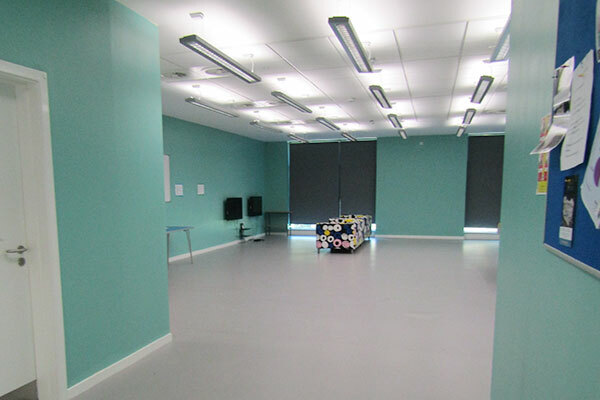 This is a bright and large room situated of the first floor at the front side of the building. Situated on the first floor, the snooker room consists of a 12 x 6 ft Snooker Table and 8×4 Snooker Table. Access to the Snooker is through a card entry system and games are accessed through a meter system. Snooker balls are collected from reception for a deposit and some cues are available in the Snooker Room. The Activity Room is a meeting or training space suitable for up to 30 people situated on the first floor overlooking the Café area. This room is ideal for staff training, meetings and surgeries. 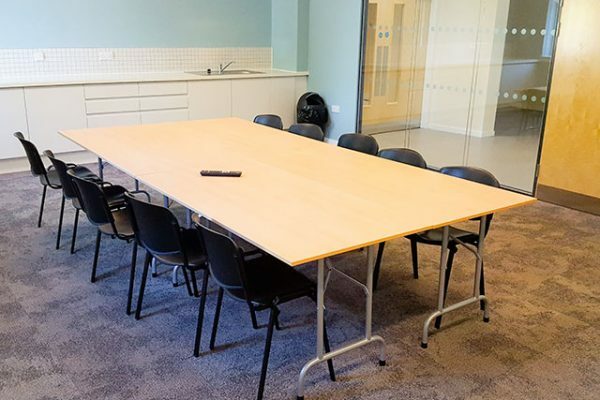 The smaller meeting room is suitable for up to 15 people situated above the Café on the first floor the room overlooks the reception area. The meeting room can also accommodate office space for up to 4 PC points and desks. 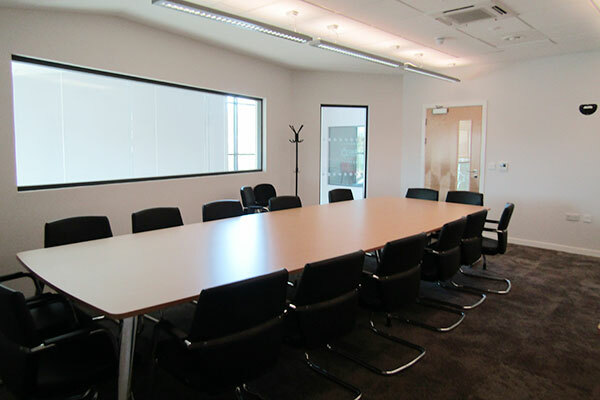 Our Interview rooms provide a smaller meeting space ideal for 1:1 meetings, can accommodate up to 4 people. 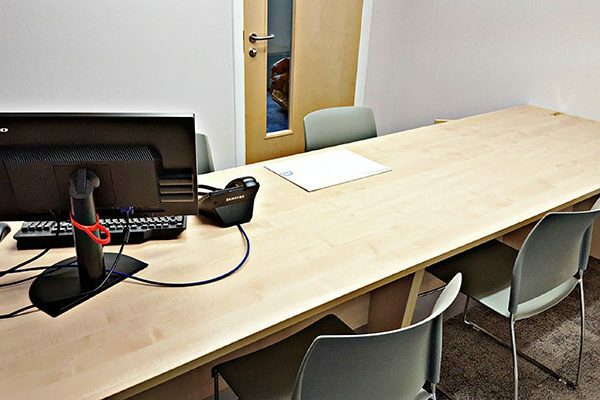 The interview rooms are available 5pm -9pm Monday – Friday and Saturdays and Sundays 9am -9pm only. Our Youth Hall is primarily used for youth clubs and drop in’s for 10 -19 year olds, with its own separate male and female WC’s and built in cupboard and sink space its ideal for youth activities and events. Situated on the first floor at the rear of the building it overlooks Tresta Road area. 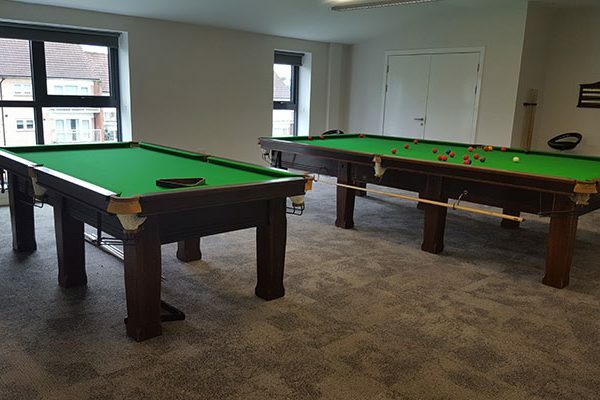 The Youth Hall comprises a small pool table and table tennis table, 2 wall mounted TV’s and 2 sofas for youth services use. Our Main Hall is situated at the rear side of the building and can accommodate up to 100 people. It comprises an integrated ceiling mounted projector, screen and MMP. 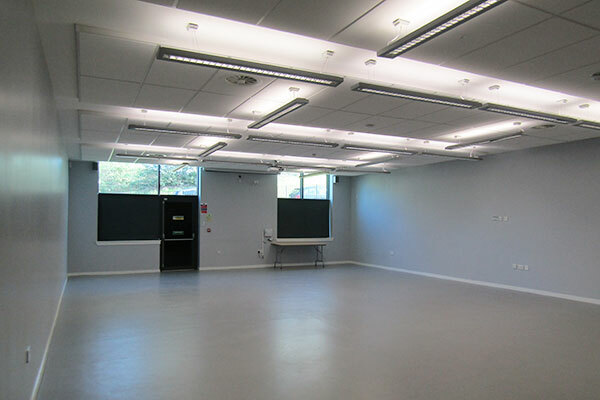 This is a multi-purpose room ideal for fitness classes, AGM’s, conferences, fundraising events and Kids birthday Parties. The Community centre is in the process of obtaining a premises license to sell alcohol. Bars can be operated within the premises under the authorisation of an occasional license which can be applied for directly from the Community Centres Personal license holder, or via mobile bar arrangements. 4 weeks prior notice is recommended for occasional licence notice period.